Gavin is home from surgery! Gavin is back home now and on the road to recovery! 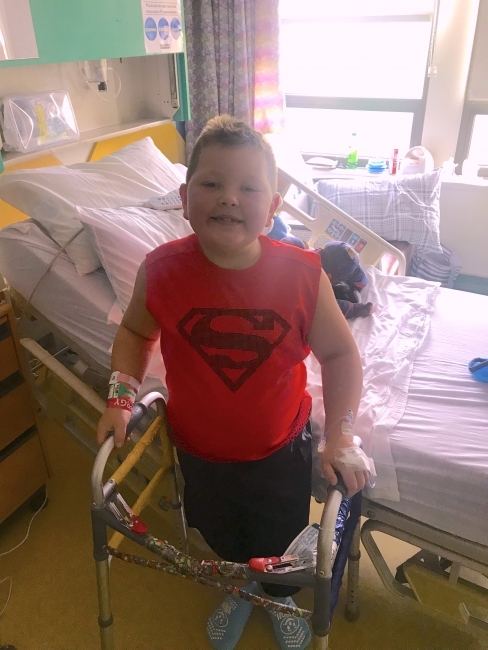 Gavin’s surgery to reduce the ball of his femur in the hip joint and re-angle it away from his pelvis to allow the bone to regenerate properly was performed by the team at Scottish Rite Children’s Hospital in Dallas, Tx just last week. 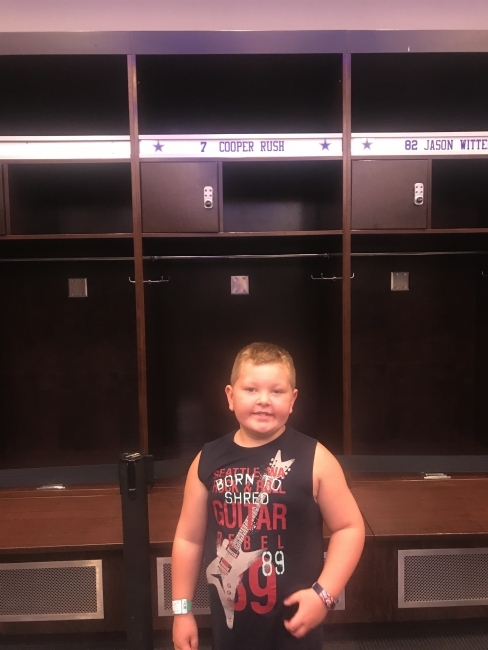 Gavin was able to sqeeze in a quick trip to the Dallas Cowboys locker room before his surgery and was thrilled to snap a pic in front of Cooper Rush’s locker, Cooper had also visited Gavin just before his surgery. 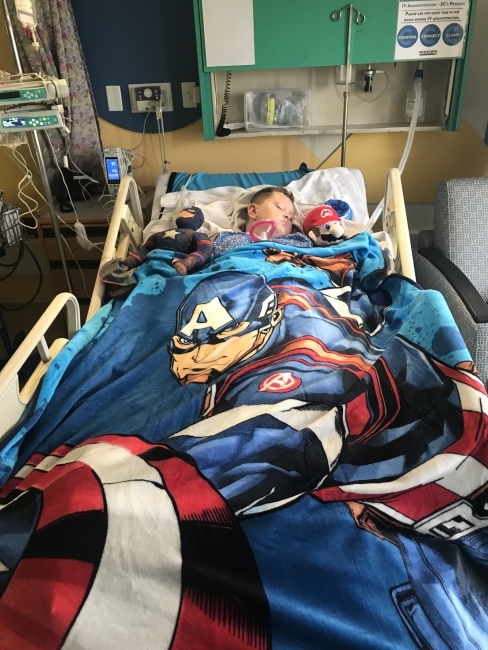 Gavin is now back home in Michigan and on the road to recovery. 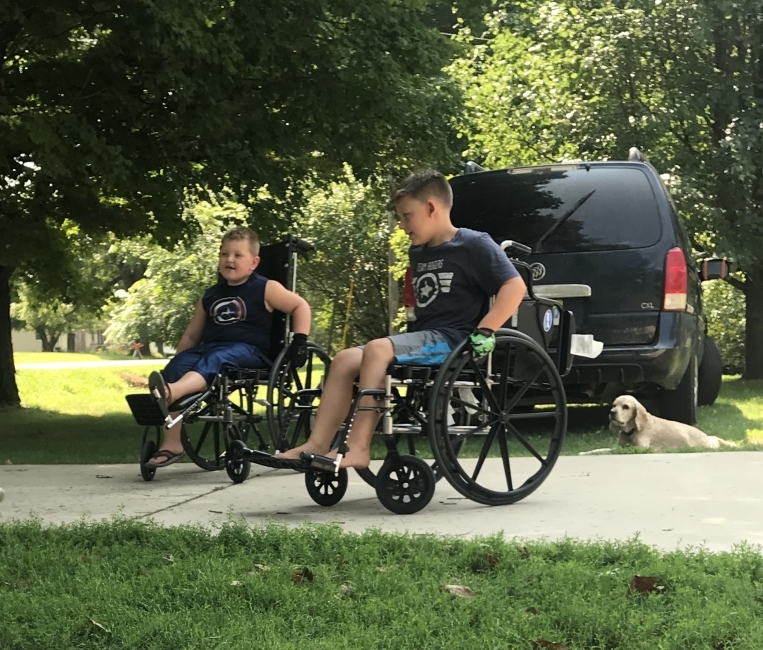 Gavin is able to get around using his wheelchair and actually using a walker around the house.